Welcome to Meme Monday! 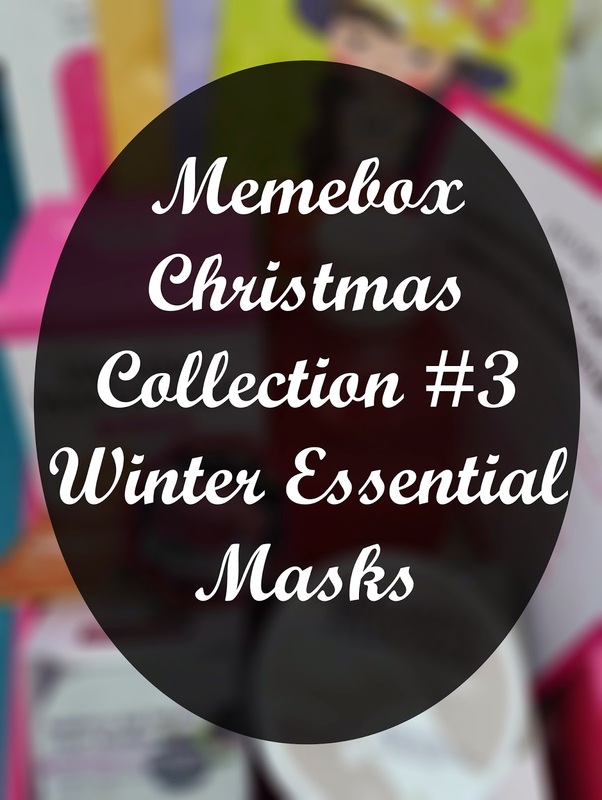 Today I will be unboxing the Winter Essential Masks box from Memebox's Christmas Collection. I bought this box after all of its contains have been revealed through its e-description card. I was hesitant about it before its reveal, however, after I saw the box's contents, I was happy to purchase it. This box costed $23 plus $6.99 shipping. Looking at the contents, the cost was totally worth it. Memeboxes can be a hit or miss, but this time I'm glad it's a hit for me! Let's dig in to see the wonderful goodies that came in this box. 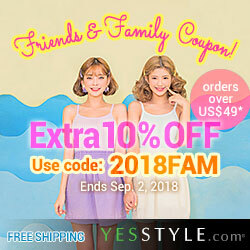 If you are new to Memebox, they are a Korean beauty box company that sell non-subscription beauty boxes as well as Korean beauty products. They also have their own line of beauty products as well. Their boxes contain full size and deluxe size products that are shipped straight from South Korea. I wrote a comprehensive Q and A post about them not too long ago, so if you would like more information on Memebox, you can check it out. 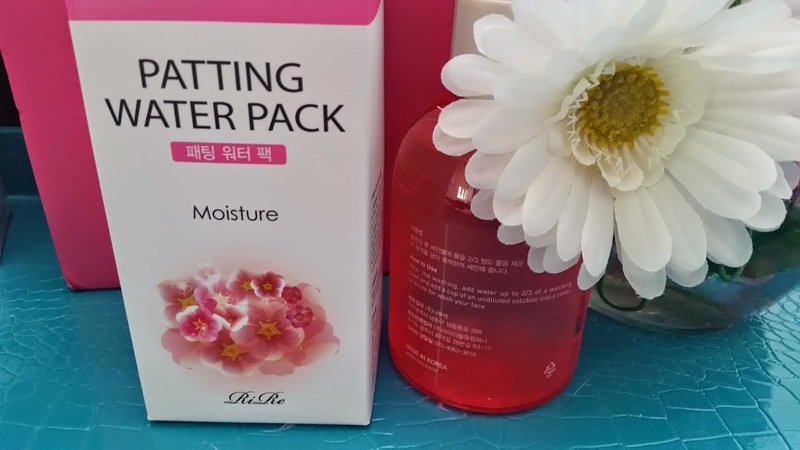 Product Description: Patting water packs works to balance the skin's pH level while gently melting away dead skin cells and enhancing the skin's tone and texture. It will provide the skin a smoother complexion and deliver it plenty of moisture. The pink Moisture pack is enriched with cherry blossom extracts to keep the skin hydrated and healthy. There are two methods of use, the basin method and the mist method, please refer to the Blithe Patting Water for more details. My Thoughts: I bought this Winter Essential Masks box because I saw this patting water pack. Although, it's not Blithe, I was hoping it would be quite similar to Blithe; and because of that, I wanted to try it out. There were 3 random choices for this product, the Lifting, Brightening, or Moisture. I'm quite happy with getting the Moisture pack since I can add it just about any mist or water without issues. Having tested this out already, I found that the RiRe Patting Water is a lot thicker than the Blithe patting water and thus making it harder to mix. However, after a lot of mixing and shaking, I found that it will still work. It's not as amazing as the Blithe Patting Water though, and with similar price tag, I'd say the Blithe is better. Will do a in-depth comparison post of the 2 in the future! 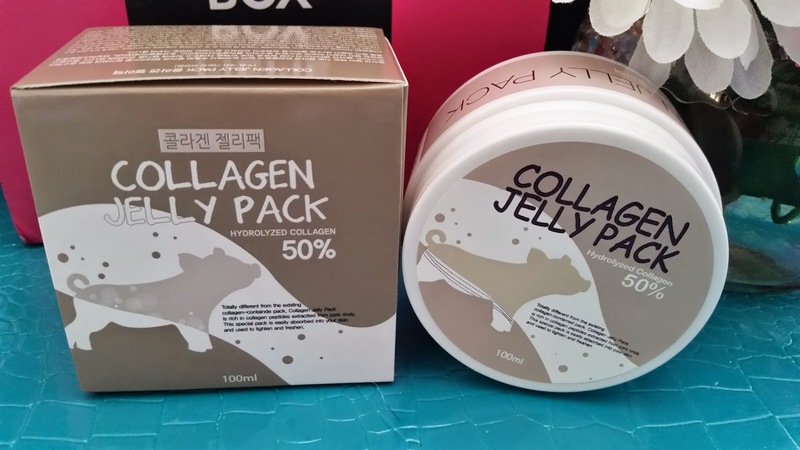 Product Description: Pig collagen has been shown to be highly effective in firming and tightening the elasticity of the skin. It comes with the promise of reducing the appearance of wrinkles. This pack is full of that as it's rich in collagen peptides extracted from pork rinds. This is a leave on mask pack that will absorb easily into the skin and leaving it firmer, nourished, and moisturized. To use, take a moderate amount and apply onto clean face, massage for full absorbency. My Thoughts: I have been following articles regarding collagen in skin care for a long time. It's a highly debated topic and one with many sides and views. Some believe that collagen in skin care helps to reduce wrinkles and firm up the skin, while others believe the collagen particles in these creams/packs are too large to be absorbed into the skin. Thus would not be able to reduce wrinkles or firm up the skin and might hinder the skin instead. I don't have enough knowledge of this to say either or, but I wanted to point out both sides to my readers so you can decide for yourselves whether to use these products or not. As for this particular product, I think I will pass it onto someone else. I have a lot of sleeping packs to go through and won't be able to get to this one. P.S. I like eating stewed pork hocks (got some very yummy recipes for it) for my collagen intake, and yes, it helps if your eating collagen ^^. Product Description: A wash off mask with a rich blend of yogurt extracts that will effectively cleanse away dead skin cells and impurities from the pores to prevent clogging. The formula includes lactobacillus, raspberry extracts and collagen extracts, all of which will work to fight against wrinkles and sagging skin. To use, spread the mask evenly over clean face and massage it until the micro beads in the mask has disappeared. Leave the mask on for 5 to 10 minutes, then rinse off. My Thoughts: I already got this wash off mask in my WishTrend haul and I intend to do an in-depth review of it as well. 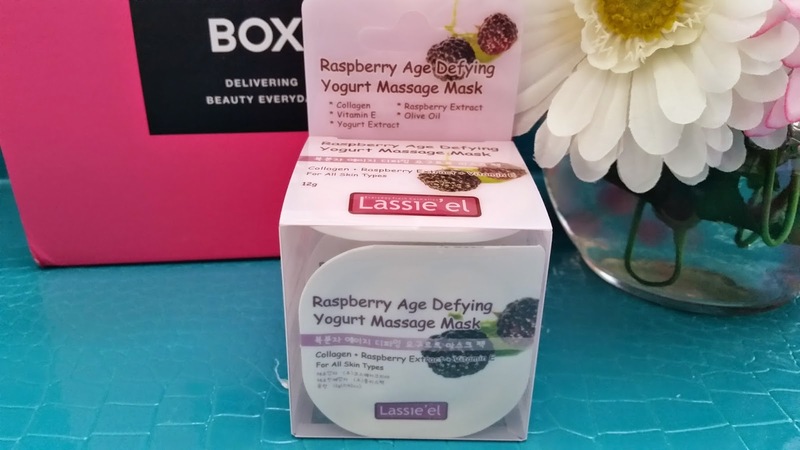 I haven't tried this one yet but I have tried their Aloe Soothing Yogurt MassageMask and I love it. So I hope it will be as good as the aloe one. Product Description: A wash off facial pack formulated with either ruby extracts or royal jelly extracts. The Ruby pack contains a replenishing formula and soothes the skin, it's formulated with ruby powder, green tea, hyaluronic acid, aloe vera leaf, glycerin, vitamin E, and portulaca extracts. The Royal Jelly pack contains a formula enriched with over 40 kinds of vitamins and minerals to treat acne prone skin by deeply cleansing the pores while nourishing damaged skin. To use, spread the pack evenly over clean (dried) face and gently massage the self generated bubbles a couple of times as it penetrates deep into pores and cleanse out impurities in them. After the bubbling stops, rinse it off with lukewarm water then follow up with the nighttime skin care routine. My Thoughts: I didn't really care for these 2 products when I saw the e-description card. It's a one time use wash off mask that just looks meh. I will give it a try, although I have a feeling it won't be as good as some of my favorite wash off packs. 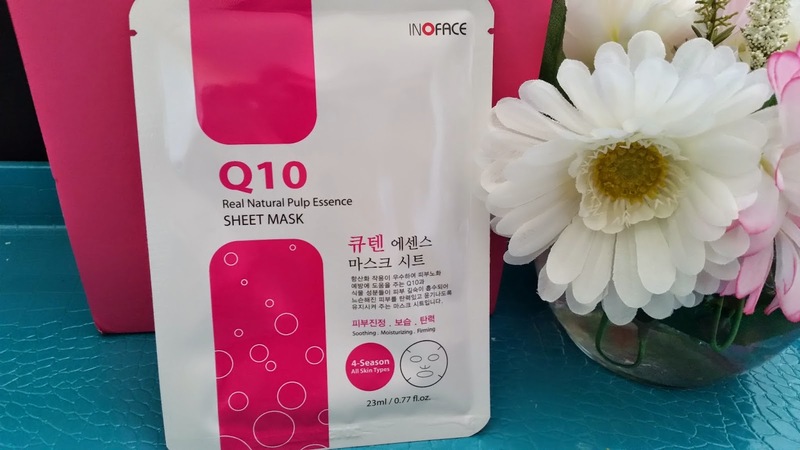 Product Description: A sheet mask to help replenish mositure and add firmness to dry and sagging skin. It's formulated with coenzyme Q10 and glycerin to effectively moisturize the skin. To use, spread the sheet mask over clean face and leave it on for 15 to 20 minutes, then remove the mask and pat in any remaining essence. My Thoughts: Although this product has an expiration date of Oct 23, 2015, I am pretty sure I'll be able to use it before that date. Still, Memebox have not heeded the complaints of adding soon to expired products into their boxes. Anyways, There were 4 options for this mask and they were snail, Q10, aloe, and collagen. I am quite happy with the Q10 mask and would have been happy with any other choices as well. I'm always looking for brands to add to my mask collections and Inoface is new to me, so let's see how well this mask will perform. Product Description: Each mask if formulated with special ingredients to target different skin care concerns. 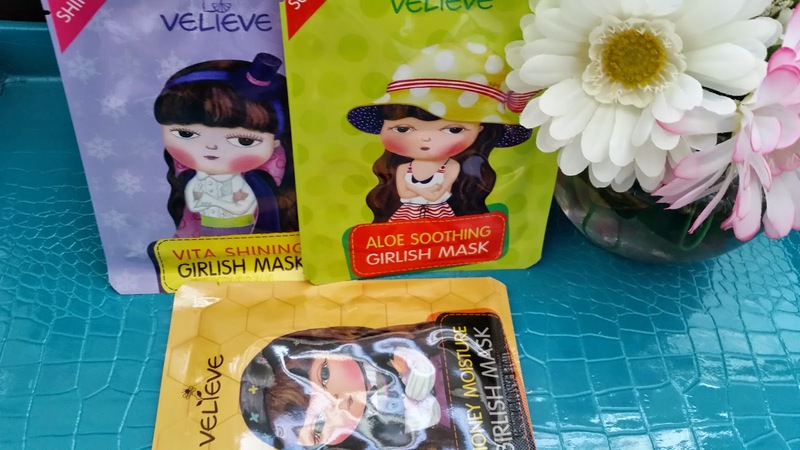 The Honey Moisture contains honey extracts for nourishing the skin, the Vita Shinning contains lemon extracts for brightening, and the Aloe Soothing contains aloe vera extracts for moisturizing and soothing properties. To use, place the mask over clean face and leave it on for 15 to 20 minutes. Afterward, take it off and pat in remaining essence. My Thoughts: This was another random selection out of 4 different types of masks. Aside from the 3 mentioned above, there was also the Collagen Lifting which contains marine collage for firming and tightening of the skin. Once again, I am happy with the masks I got and would have been happy with any of the selections. Since I am a huge sheet mask lover, I will be testing these out to see if they belong in my love pile or not. Final Thoughts: Over all, this is a great box of winter essential masks. From wash offs to sheet masks to patting water; it's just missing hydrogels but still a great selection. Since I purchased this box after finding out its contents, it was no mystery to me what I was going to receive. While I'm not going to use all the products from this box, I am overall very happy with its contents. I hope Memebox will continue to make boxes with great contents! All in all, this box is a hit for me ^^. You can check out current boxes here on Memebox. Special January Code 4ZZ48X for $3 off orders over $30.